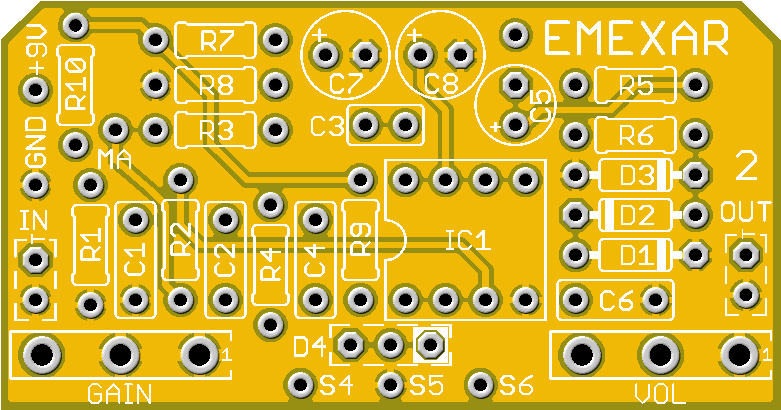 This kit includes all of the parts needed to build the GuitarPCB Emexar 2 project (DistPlus Build). The components in this kit allow you to make a pedal that compares to the MXR® Distortion+™, but also includes a few extra clipping diodes so you can customize the build to your taste. Please note that there are other Emexar kits available on our site that allow you to build a the 250 or M-Amp pedals, but this kit includes only the DistPlus components. MXR® and Distortion +™ are trademarks of Dunlop Manufacturing®. Pedal Parts and Kits is not associated with and makes no claims to these trademarks. See our FAQ for more details. Check out this Emexar 2 DistPlus video demo by Barry at GuitarPCB!